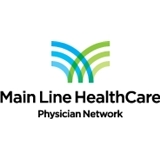 MLHC Family Med In Royersford (Limerick) - Book Appointment Online! She's very easy to talk to and genuinely wants to address your needs. Love my new doctor! I would not want to go to any other doctor. The office staff is always friendly and courteous. Dr. Henwood is truly caring and has been our family's doctor for many years.